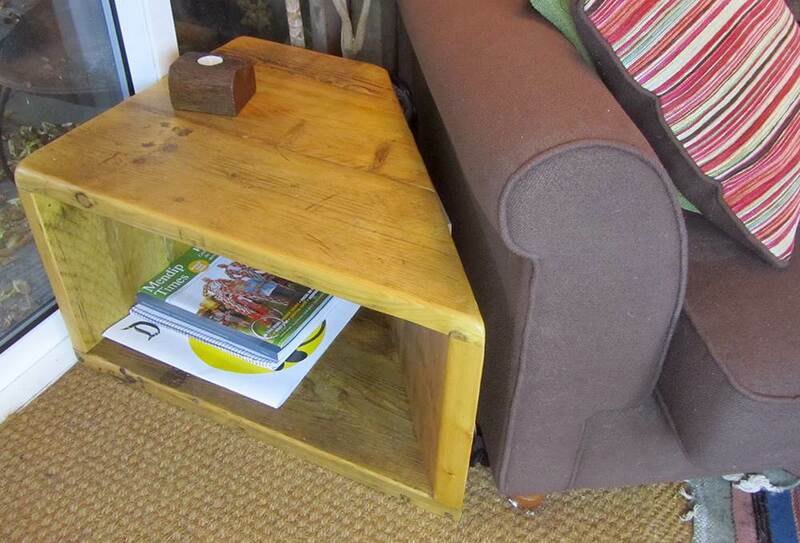 Occasional tables are generally smaller than a coffee table with the option of serving a couple of purposes. 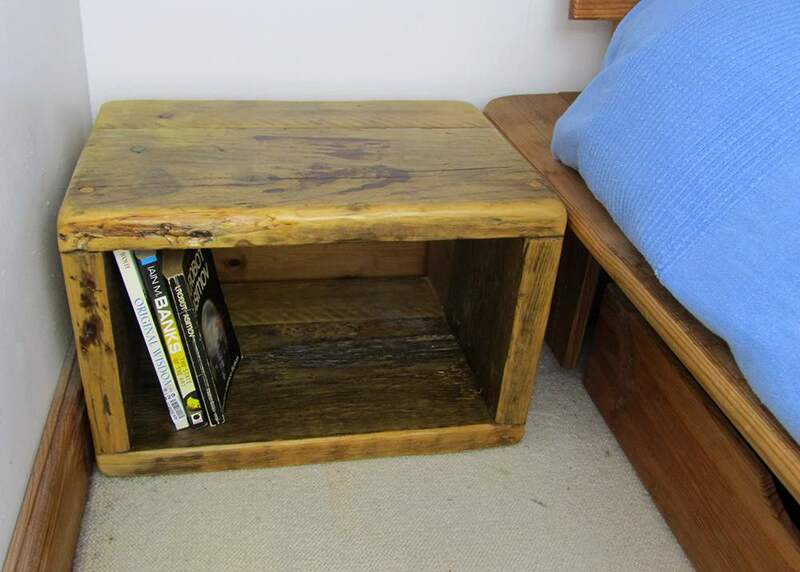 They could be somewhere to keep magazines or books, but may also double up as an extra seat, foot stool or shelf. 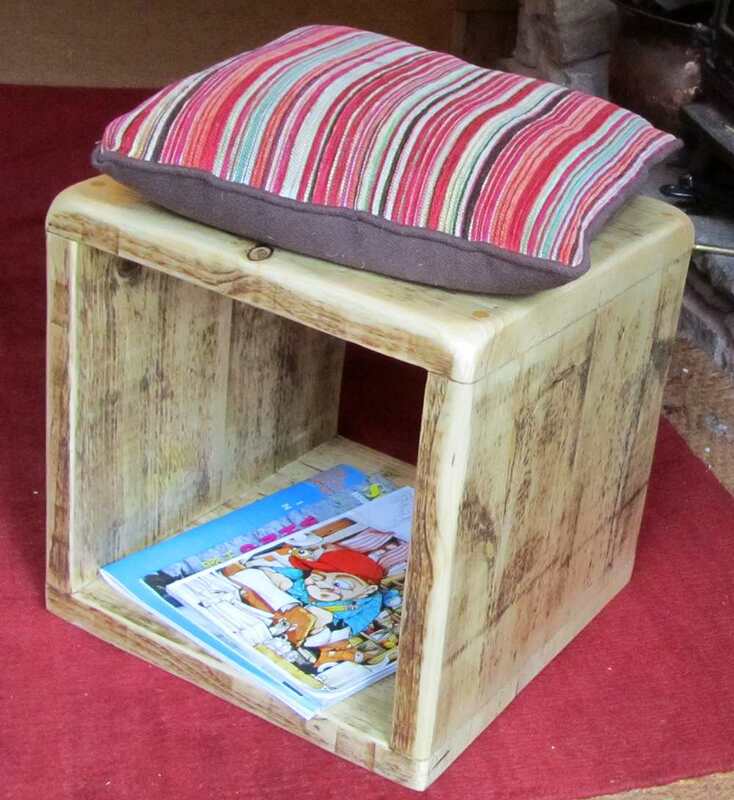 They can be made in a variety of designs from cubes, bedside tables, angled corner tables, or (based on your measurements) something totally bespoke to fit your room. 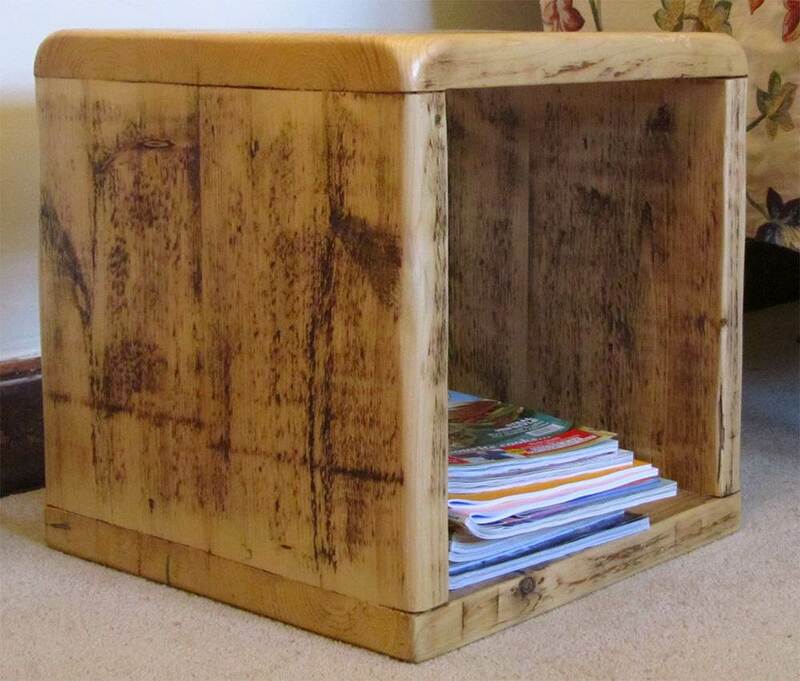 Cube table, sold either individually or as part of a set. Two or three of these in decreasing sizes could be nested together. Price: £80 for the above dimensions. Contact us with your requirements and dimensions for a quote.